The Game Dev society have announced the details of their inaugural Game Jam, which will be taking place on Saturday the 23rd of March and running from 9:30 am until midnight. Most of that time will be dedicated to the jam, with the remaining two and a half hours dedicated to introductions, the theme reveal, and the awards and prizes at the end. A game jam, for those unfamiliar, is similar to a hackathon, saddling developers with the challenge of making a game from scratch in a limited period of time, and sometimes with certain creative constraints or themes. Though this may sound unforgiving and doubtless pushes developers to their limits, jams have been real incubators for creativity across the world, and have been responsible for the birth of titles such as Thomas was Alone, Goat Simulator and Super Hot. Society founders and event organisers Amad Aslam and Raad Aldakhil have revealed that, like most jams, there will be a theme to the games, but in order to prevent teams preparing for the jam in advance, what exactly that is will only be announced on the day. 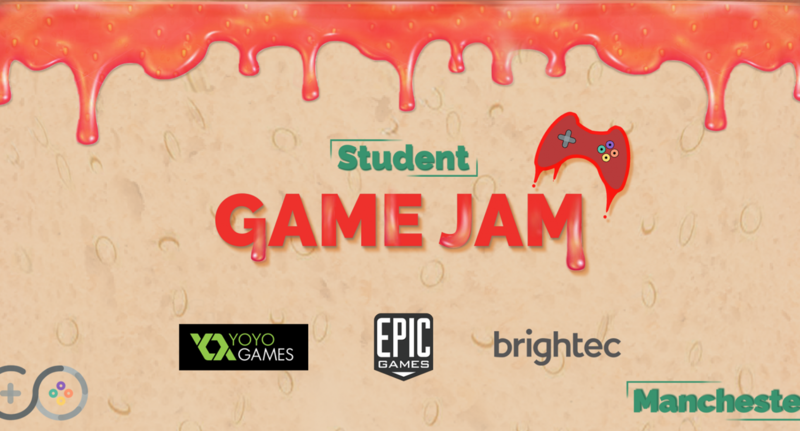 Despite being Manchester’s first ever student game Jam, the event has attracted some formidable sponsors, with YoYo Games, Brightec, and Epic Games (the company behind Fortnite) giving their backing to the event. However, The Game Dev Society have said that anyone is welcome to compete regardless of experience or, indeed, technical expertise. Those who can help create games by way of contributing narrative, music or even conceptual ideas are able to enter as part of a team of no more than four, although people can also enter as individuals. All participants will be provided with a temporary license for GameMaker Studio 2. To ease the strain of what could be a potentially frenetic 12-hour development window, The Game Development Society a free lunch and dinner and free snacks. There will also be an entertainment corner set up with games consoles for those who need a break. The Game Jam will be held at The Shed, a university building by Manchester Metropolitan. General admission is free and can be found on the event’s Facebook page.